The U.S. Department of the Treasury released its National Strategy for Combating Terrorist and Other Illicit Financing (Illicit Finance Strategy) describing current government strategies to combat illicit financing of terrorist organizations both domestically and internationally. Transnational criminal organizations, terrorists, and weapons proliferation are the primary drivers of illicit financing activities, according to Illicit Finance Strategy report. 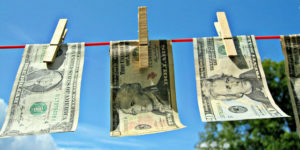 Money laundering, misuse of the U.S. financial system, and abuse of virtual currencies facilitate the movement of money to terrorist organizations from activities such as fraud, drug trafficking, corruption, and human trafficking. Three assessments accompanied the Illicit Finance Strategy: the National Money Laundering Risk Assessment, National Terrorist Financing Risk Assessment, and a new assessment National Proliferation Financing Risk Assessment. These assessments focus on specific components of the issue of terrorist financing. Primary terrorist organizations receiving support from illicit flows are identified as the Islamic State of Iraq and Syria (ISIS), Al-Qaida (AQ), Al-Shabaab, and Hezbollah, and the affiliate organizations associated with these groups. Domestic fraud, tax evasion and drug trafficking liberate approximately $300 billion annually for potential money laundering. The use of illicit financing to proliferate weapons of mass destruction is a crucial issue facing counterterrorism financing efforts. Several government organizations function to combat illicit terrorist financing. These assessments recommend continued collaboration between these organizations to disrupt potential threats, reduce vulnerabilities, and dismantle the criminal networks that support illicit flows. Some of the links in this report require institutional access, click here to access the full reports. More resources and reports can be found at the Homeland Security Digital Library (HSDL).